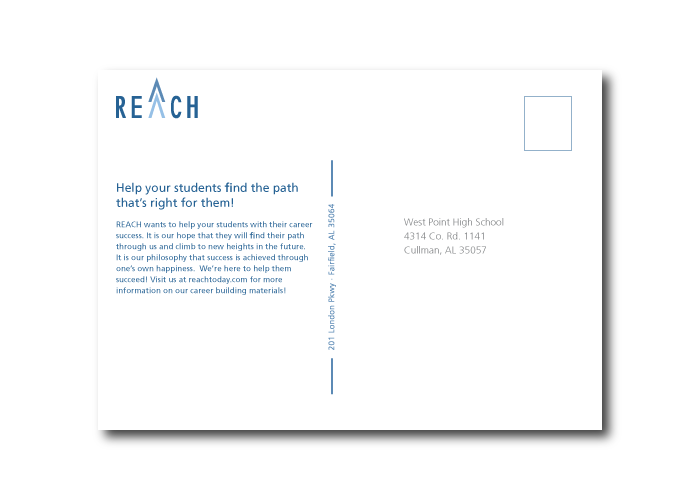 REACH is a fictional company that manufactures career building materials for high school students. This project was primarily focused towards the parents and teachers of these students to encourage their signing up for the materials. 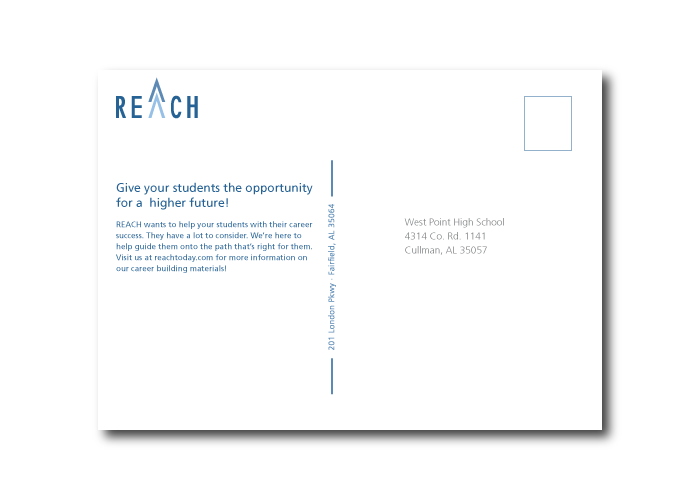 A stationery suite encompassing a letterhead, envelope, and business card. 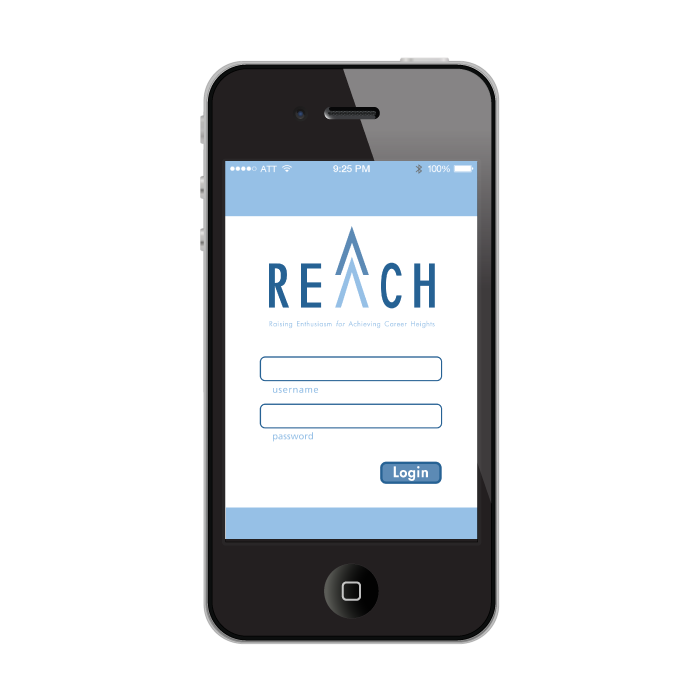 A video animation meant for television advertising, showing the process behind REACH's program. Audio belongs to Nagi Yanagi and the makers of "Amnesia" (the anime). 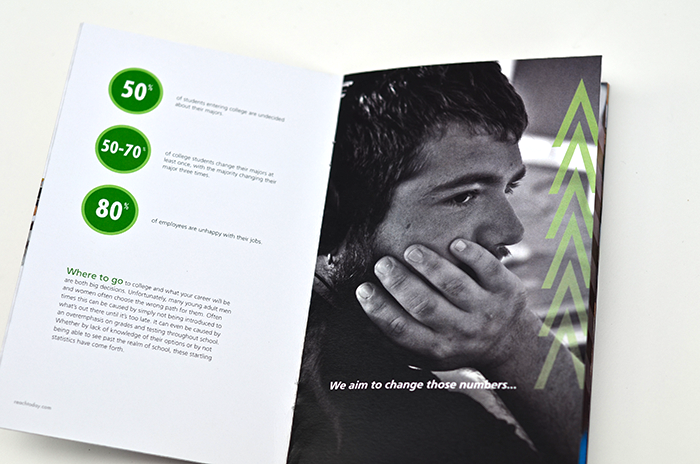 An introductory booklet that would be mailed to high schools or parents of students to encourage them to sign up for the materials. 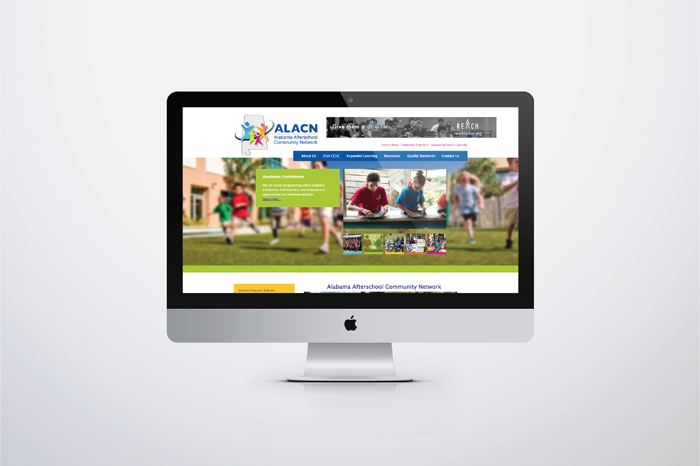 A five page website design that encompasses an introduction to the company, an assessment test for students, as well as a means to sign up for the materials. 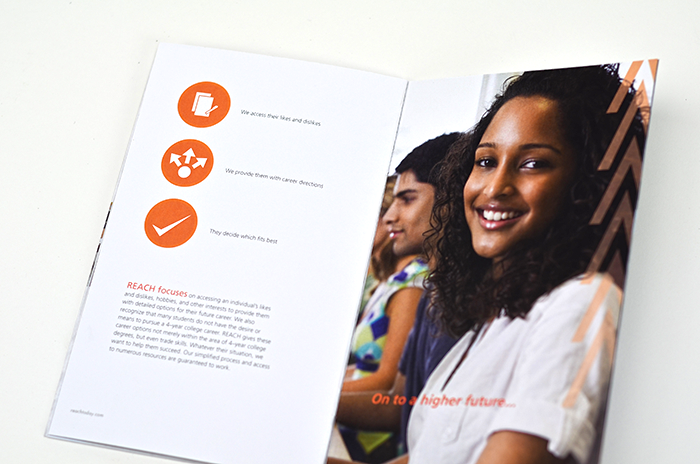 A set of three brochures meant to serve as an example of materials given to students. An eight screen mobile app design meant to display the functionalities of the mobile assessment test. A set of three postcards sent first to introduce one to the program, second to follow up if no response has been received, and third to thank the individual for signing up for the materials. 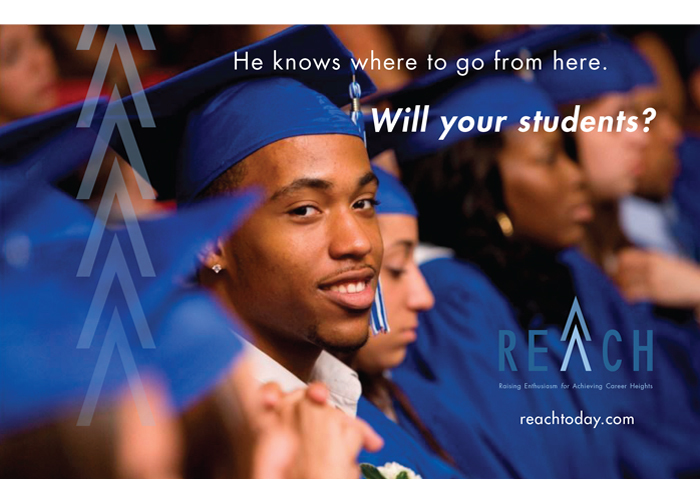 A magazine ad for TEACH Magazine to get the attention of teachers who are subscribers of the magazine.